Estonian Centre Project Update - Purchase of 9 Madison Ave. property for the International Estonian Centre Project closed in December 2018! Signing the paperwork for closing the purchase of the 9 Madison Ave. property are, from left to right: Veiko Parming, President of Estonian House in Toronto Ltd., Peeter Einola, Vice-President of Tartu College, Ellen Valter, Board Chair of Estonian (Toronto) Credit Union Ltd., and Eva Varangu, President of Estonian Foundation of Canada. 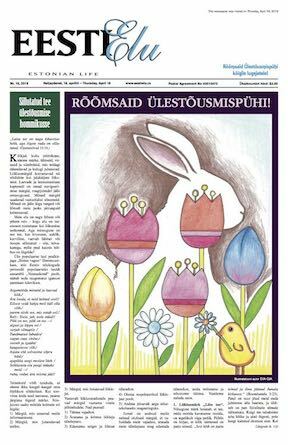 An important milestone has been reached in the International Estonian Centre project (“IEC”)! The purchase of 9 Madison Avenue is closed and is final. 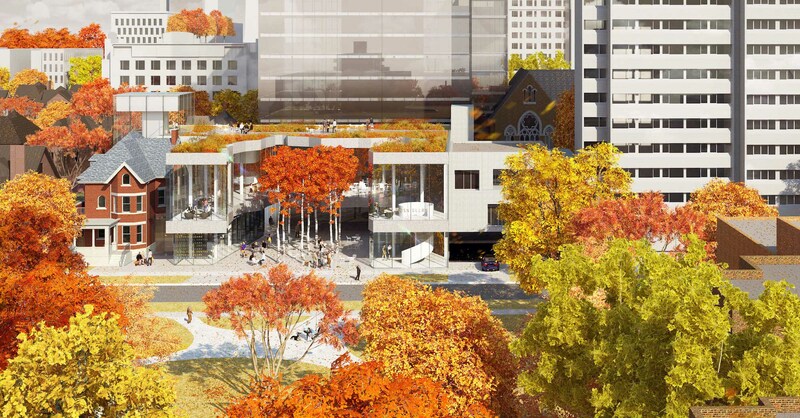 9 Madison completes the land assembly in the heart of Toronto on which the new centre will be built. Until construction of the new centre begins, the parking lot that is currently operating on 9 Madison will continue to be operated as a “Green P” parking lot by the Toronto Parking Authority with net revenues to IEC. The City of Toronto continues to support the plans for the new centre. The previous Councillor Joe Cressy is a strong supporter of IEC and that support continues with the new Councillor, Mike Layton. A recent meeting between Councillor Layton and David Kalm, Alar Kongats (IEC architect) and Urve Tamberg (Executive Manager of IEC’s steering committee) solidified his support for the project. Work on developing the new centre is progressing smoothly. The steering committee and sub-committees, comprising representatives from the four Estonian organizations and consultants, continue to meet regularly to move major steps forward. 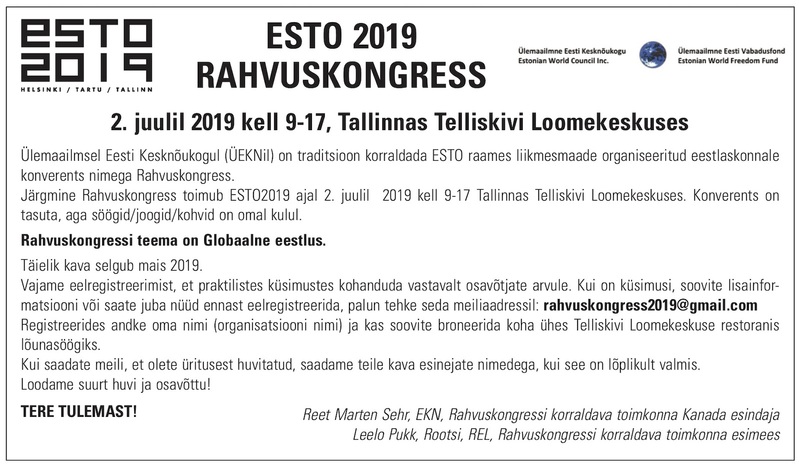 Design work is being updated, and user groups of the Estonian House will again be contacted in the next four to six weeks to advance the consultation process. Several significant financial donations to IEC's capital campaign were received at the end of 2018. The City of Toronto continues to support the plans for the new centre. Stay tuned for updates on the capital campaign in the coming weeks. The IEC will be a dynamic hub showcasing our rich heritage and promoting Estonian innovation. It is envisioned to be a vibrant gathering place for Estonians of all generations and backgrounds to connect, celebrate, and share our culture and achievements with each other and the world. Newsletter: If you haven’t done so yet, please take a moment to sign up for the project’s newsletter, which will bring the latest information into your in-box via email. Go to http://estoniancentre.ca and provide your email address. Welcome Centre – Be sure to stop by and take a look at the drawings and other information about the new centre (site of the former E-Store at the Estonian House), open during office hours.